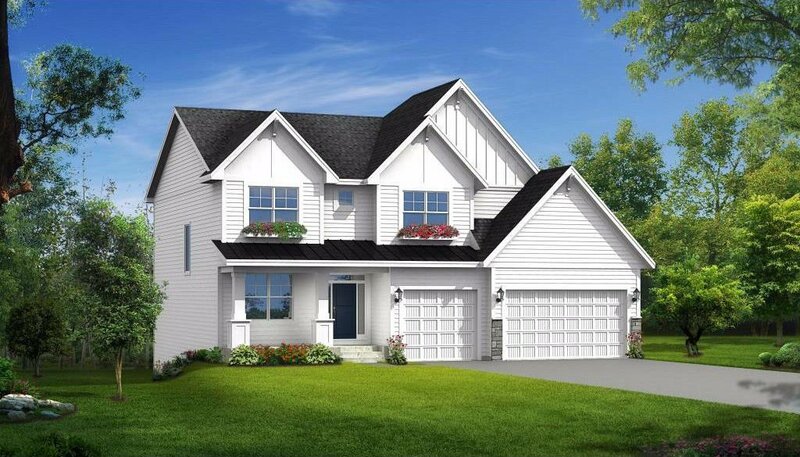 This is Stonegate's Marion floor plan offering five bedrooms and four bathrooms. The main floor offers great functionality with a front flex room, large kitchen with an island, cook top, wall oven, and a mudroom with a walk-in closet. The upper level has four bedrooms, a loft and a spacious laundry room. The lower level offers 9ft ceilings, fifth bedroom and plenty of entertaining space on this walkout lot backing up to some open space. Sod and irrigation system are included in this home.